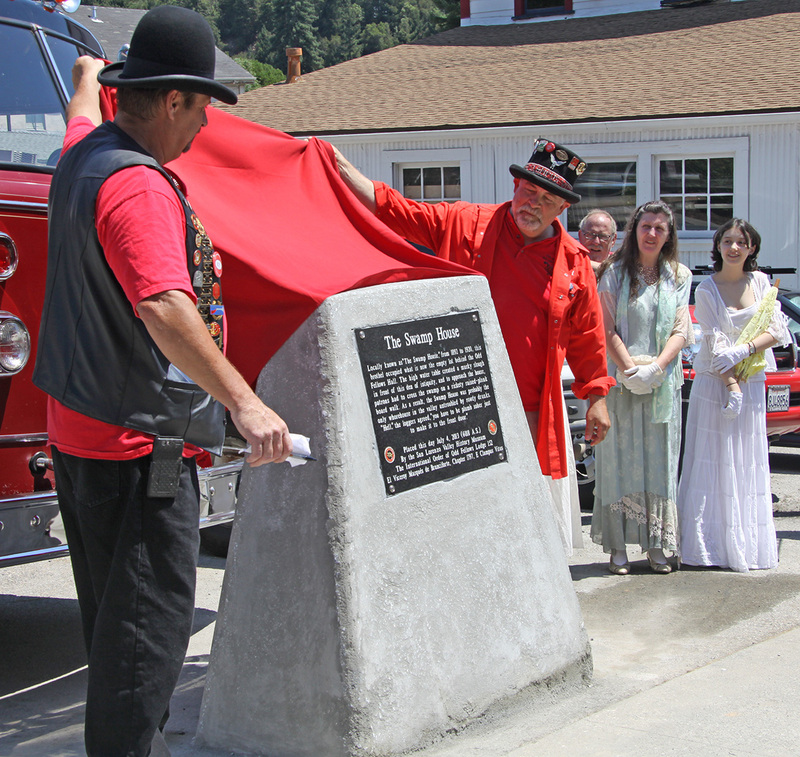 On July 4, 2013, E. Clampus Vitus, Branciforte Chapter, dedicated a plaque to the "Swamp House" on the empty lot behind the Independent Order of Odd Fellows building on Forest Street in Boulder Creek. Boulder Creek Lodge, No. 152, Independent Order of Odd Fellows, was instituted on February 10, 1900. They soon were looking for a property on which to build a meeting place. On March 17th it was reported that they had secured the purchase of the lot opposite the Fireman’s Hall, on the North West corner of Forest and Main streets. The cost just $400. Hubbard and Carmichael brothers of San Jose won the I.O.O.F. building contract. Their bid was $3461. By June 2nd the first load of lumber was “on the ground” and construction began under the direction of E. A. House of San Jose. An appropriate surname for a contractor! Actually it was most likely Alvin E. House. Construction was halted so that a grand ball could be held in the building on the eve of the Fourth of July, 113 years ago. 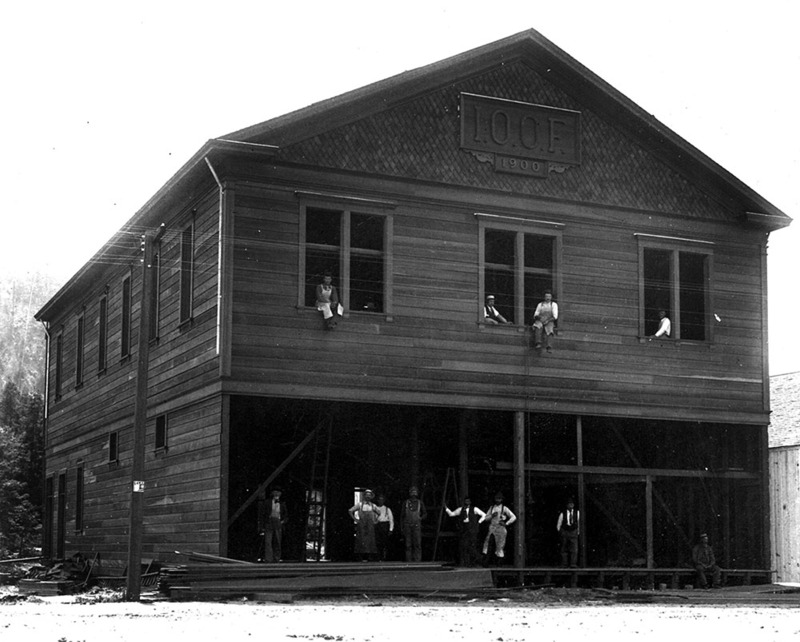 The new building was dedicated on October 20, 1900. The “Swamp House” was now gone but not forgotten!